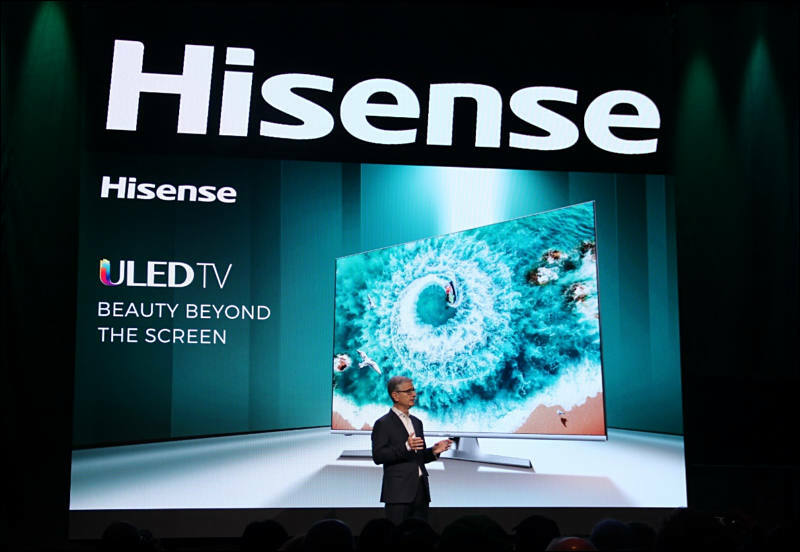 Hisense uses Dual-cell ULED XD panel layer that puts a 1080p module displaying a grayscale image between a full array LED backlight and a 4K module. Panel has 2,900 nits peak brightness. Also they have 512 direct led backlight zones. Prototype used 65-inch VA panel. With peak brightness as we told above at 2900 cd/m² and a black at 0.0018 cd/m² we have real contrast ratio greater than 200 000:1. In EU and US most probably it'll be only in 2020. Such layer has 3000:1 to 5000:1 contrast, so combined it is staggering numbers, as in real room black level will reach OLED, and not in the large zones as usual, with brightness reading top Samsung sets. Too thick, plus OLED is more energy efficient. Works for cell phones too? Or too much energy?